DIY Makeup Classes & Parties! Ladies! 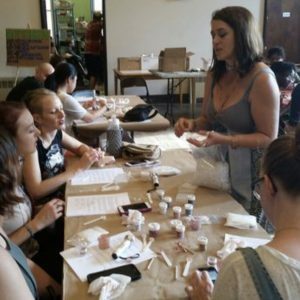 Get your sister time in with a fun, hands-on ‘class’ where you’ll make your own custom organic, cruelty-free makeup with friends and family! 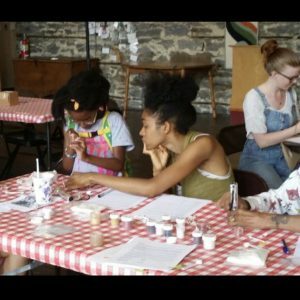 Playtime is in effect while you learn what goes into making a natural beauty product. Experience it for yourself and have the comfort of knowing you’re having a great time with your friends while you help take care of our planet! You’ll have expert assistance throughout the whole process, and leave with a beautiful, unique makeup product to slide into your purse. All products are gluten free, soy free, dairy free, corn free and vegan! All supplies are provided, but we can’t promise you won’t get dirty, so come prepared to get into the nitty gritty of actual makeup production! Click on a DIY Makeup Party option below to book your event!